Indeed, like the rest of the Diablo soundtrack, “Tristram” alludes to danger, but at the same time keeps it just out of reach and in the shadows, never fully revealed and hard to identity, yet constantly present and inescapable. Key to “Tristram”’s success is Uelmen’s astonishing creativity as he finds new ways to manipulate his guitar material. With constant virtuosity, Uelmen tweaks his guitar lines into surprising dissonances and off-kilter fade outs that catch listeners by surprise. Combine this with a tasteful orchestral background that adds feelings of both foreboding and sorrow, and you’ve got a classic piece of game music that gives a piercing glimpse into the mood and psychology of a haunted location. Much has been written about how “Tristram”’s guitar focus and sombre mood deviate from more standard, orchestral fantasy fare. According to Uelmen, his individualistic approach was a natural result of one band’s influence that he felt managed to capture a mystic, medieval vibe. That band was Led Zeppelin and particularly their third album, with its strong folk overtones. But even if “Tristram” sees Uelmen channeling the influence of Jimmy Page’s characteristic multiple guitar overlays, it’s a spectacular achievement to write a piece that rivals Led Zeppelin’s best folk tracks AND to give the music its own spooky, unsettling twist. Of course, there’s more to the Diablo soundtrack than just “Tristram” – let’s not forget the dungeon tracks. Much more abstract than “Tristram”, these compositions are equally potent mood setters, if not quite as creative. What they share with “Tristram” is their resolve to eschew the common musical fantasy template, albeit in a different way. There’s no trace of heroism or romanticism found on these dungeon tracks – only stark horror. To that end, Uelmen deploys a number of familiar horror score techniques on the Diablo soundtrack: deep, droning celli and double basses; unsettling, whining violin glissandi (particularly prominent and effective on “Catacombs”); wordless vocals that range from disembodied choirs to eerie moans; pounding percussion ringing out from the depths of the dungeons. 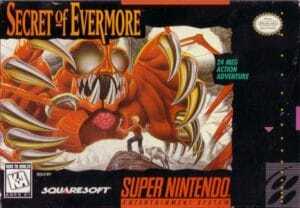 However, there are two things that elevate Diablo far above the rank of a derivative horror score. Firstly, despite their quite minimalist nature, Diablo‘s dungeon tracks all develop well during their running time. They patiently roll out their slow-burning, tense ambiance until the listener has been truly sucked into their sinister world. Yes, the ingredients may be familiar. However, Uelmen still manages to deploy them effectively on compositions that sometimes border on twisted sound collages. The other part of Uelmen’s formula for success is that he mixes in rock elements. Rarely heard in fantasy games, they work wonders for Diablo‘s chilling mood that becomes even more alienating through the tension between rock and orchestral sounds. The stomping drum rhythms on “Dungeon” and “Catacombs” add nervous energy and maliciousness to these tracks. Not surprisingly, the score’s contemporary elements harken back to a genre that is all about evoking doom and gloom. Uelmen reaches back to Gothic rock here, particularly in its early 80’s incarnation. “Caves” for example feels like a welcome throwback to early Killing Joke albums. A big percussion beat mercilessly drives the composition forward with tribal energy and fanatic focus. Meanwhile, distorted electric guitars gnaw and tear at the music’s fabric. 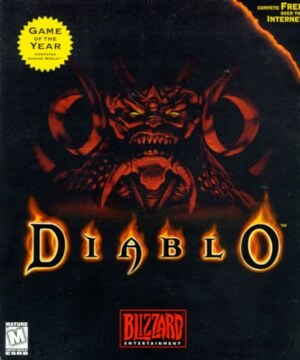 The Diablo soundtrack shows Uelmen finding a way to marry guitars, electronics and orchestra in a way no other Western game music composer had achieved before. And while Diablo is Uelmen’s most monochrome game score, it bears the hallmarks of all his future works. Chief among these are the masterful handling of constantly shifting textures, evoked by genre-bending instrument combinations and studio manipulations. At their best, these characteristics bend Uelmen’s music into otherworldly dreamscapes, elusive and perpetually fascinating.